What lessons can business learn from the Healthcare.gov roll out? 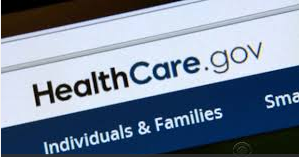 Regardless of whether you are for or against the Affordable Care Act (a.k.a Obamacare), there are still important lessons to be learned for business in the roll out of the website Healthcare.gov. Government has a long history of spending money unnecessarily. But in an age when the U.S is home to the world’s largest, most successful Internet companies, how is it possible that we can’t even manage to build a functional website without blowing through hundreds of millions of dollars? There are clearly companies in the industry who understand exactly the kind of problems that healthcare.gov needed to address. Intuit’s online TurboTax is much more complicated than the sign-up process for healthcare, and it works under heavy load. Amazon and Google both handle crushing loads gracefully as well. Why can’t the government draw on this kind of expertise when designing a site as critical to the public as healthcare.gov, rather than farming it out to the lowest bidder? Creating realistic load testing of a site as complicated as healthcare.gov isn’t easy, but just having a thousand bots load the home page isn’t going to give you a realistic load test, especially of database transactions. You need to really bang on the core functionality of the site, and tune the heck out of it. Companies such as Google, Amazon.com, Twitter, and Facebook all think in terms of platforms talking to applications. They deploy lots of small teams that are expected to ship new features and fixes all the time—sometimes daily. Like anything that involves human beings, shipping code can devolve into squabbling, missed deadlines, and flawed releases. The programming community’s key realization is that the solution to these problems is to create more transparency, not less: code reviews, tons of “unit tests” to automatically find flaws, scheduled stand-up meetings, and the constant pushing of new code into the open, where it’s used by real people. To cite just one example, developers at the giant online marketplace Etsy are encouraged to release code to the world on their first day of work. Of course it is going to have bugs- deal with them and fix them. 5. Don’t reinvent the wheel. Use open source. Government IT can’t work in such a transparent way. Or could it? There’s a whole set of tools, methods, and processes already set up and ready to use, all embodied in the culture of open-source software development. The U.S. federal government, led by the executive branch, should make all taxpayer-funded software development open-sourced by default. In the short run, this would help to prevent the recurrence of problems like those that plague healthcare.gov. Longer term, it will lead to better, more secure software and could allow the government to deliver a range of services more effectively. And it would enrich democracy to boot. The basic goal of the free software movement is to make useful software code available to anyone who wants it. Thirty years ago this sounded like communism, because code was seen as a kind of property. But in recent decades many people have come to believe that software code is more like a conversation. (As one famous programming textbook put it, “Programs must be written for people to read, and only incidentally for machines to execute.”) That’s why people say that free software is free as in free speech, not as in beer. Want to open-source code? Choose a free software license and release your code online with the text of that license attached. That’s all it takes. History shows, however, that just licensing code and making it available isn’t enough. You need to create a culture around your project and engage with other people doing related work. If you do a good job of it, you and your collaborators can create great, first-class, highly secure software. Web browsers such as Mozilla Firefox and Google Chrome were built this way. Read more: I used the following articles in preparing this post.